Chances are, clients expect you and your teams to do more than you used to— for less. The competitive pressures of the great recession forced many architecture firms to work harder and faster for lower fees. Now, accelerated project schedules and aggressive fees seem like the new normal. You could resign yourself to accepting the status quo—or you could join architecture firms that are finding new ways to thrive. 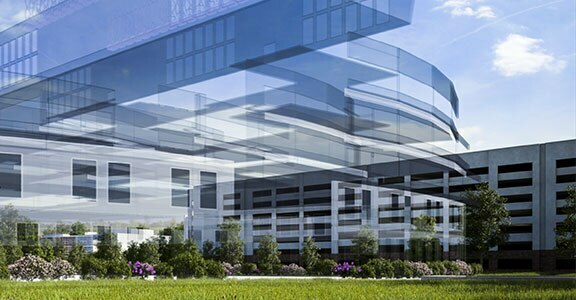 Those firms made Building Information Modeling (BIM) core to their design processes. And now they’re looking to BIM to help them blaze new paths to higher profitability. When you work with an intelligent design model, there’s so much more that you can do with that data than just your traditional scope of design work: you can expand the number of services you offer clients. A McGraw-Hill Construction survey found that 49% of architects who use BIM capitalize on it to help them offer new services. The other 51% are missing out on an opportunity. Renderings: Stop outsourcing visualization, whether in the form of watercolor or drawn illustrations, physical models, or having a visualization specialist create a 3D image from your 2D drawing. Instead, you can offer photorealistic 3D renderings of the project from multiple angles. Performance analysis: Use BIM tools for energy analysis to help you meet client sustainability goals using in-house resources. Design to fabrication: Take advantage of the models used for design to play a role in fabrication, with your team preparing detailed models of the needed construction materials to send to the contractor. You skip the need for subcontractors to develop shop drawings from scratch. Construction administration: Offer construction administration services. With a tighter connection to the project, you can use the BIM model and do markups on-site. You add commissioning details to the design model during construction. Building operations: Provide an as-built model of the building that the owner can use to operate and maintain the building after construction. As the building changes over its life, your team maintains the model to reflect modifications and enhancements. Look at the prevailing ways that architects charge for work. Many architects and owners choose the fixed-fee route. Design-build contracts are increasingly popular because they give owners more early visibility into final costs. BIM supports higher profitability on both fixed-fee and design-build projects thanks to enhanced speed and reduced risk of errors. But BIM also helps to open the door to new—and potentially more profitable—ways of working. 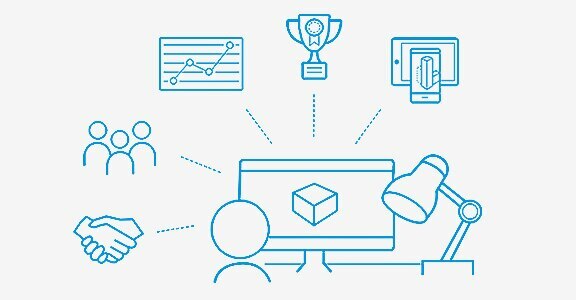 BIM enhances your control over outcomes, so it enables you to start charging for outcomes. These outcomes could be tied to construction costs or time in contracts, with better performance resulting in higher fees. Architect Magazine reports that some owners with ambitious sustainability goals are turning to contracts that are based on energy performance, where building performance is tied to compensation. BIM puts energy-analysis tools into the hands of architects looking to profit from such contracts. Beyond adding services, BIM can help you make traditional fixed-fee projects more profitable. That’s because BIM can accelerate design time, automate time-consuming routine tasks, and reduce the risks of the kinds of errors that add unexpected hours to projects. The intelligence built into models dynamically adjusts key aspects of designs in response to changes, saving even more time. Additionally, clash-detection tools enable teams to coordinate design more quickly and accurately, reducing the chance you’ll waste resources addressing problems during construction. SERA Architects decided to measure returns on its investment in BIM by reviewing data from 20 projects. Comparing BIM and 2D workflows, the firm determined that BIM reduced design time and change orders by as much as 60%. According to McGraw-Hill Construction, more than 70% of architects in North America have adopted BIM in some form. Those realizing the most value from the shift lean on BIM to help them win work, retain clients, enhance quality, and more. 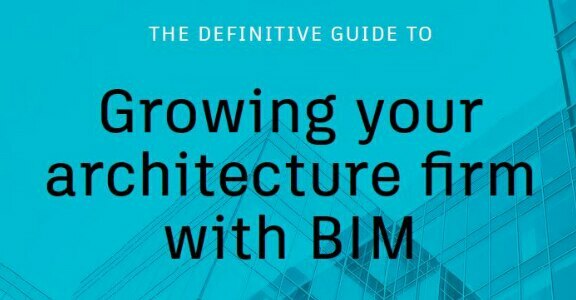 Learn about why your peers trust BIM by reading The Definitive Guide to Growing Your Architecture Firm with BIM. The guide is packed with survey results that show the returns firms are receiving from their moves to BIM. Around the world, architecture firms are adopting BIM because it helps them do better work and broaden their range of billable services. BIM makes it easier to “see” building design, facilitates communication with partners, and can keep projects under budget and ahead of schedule. It provides the tools they need to open up new business opportunities and stay ahead. 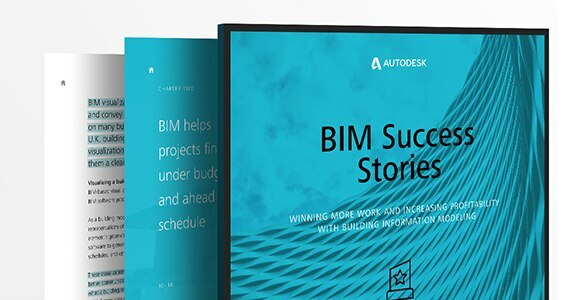 In this e-book, leading architectural firms share some of the ways BIM has helped them to stay successful in a competitive industry. As project timelines and profit margins shrink, how can your revenue grow? The use of BIM in architecture firms opens the door for clever ways to add services and charge for outcomes, with little-to-zero added cost or time to the firm.